Natchez is the county seat and only city of Adams County, Mississippi, United States. On the 23rd (Sun), tour the pleasant surroundings at Bluff Park and then take in the architecture and atmosphere at St. Mary Basilica. For photos, ratings, other places to visit, and more tourist information, use the Natchez road trip planning tool . Houston to Natchez is an approximately 5-hour combination of flight and car. You can also drive; or do a combination of bus and car. Traveling from Houston in June, expect Natchez to be little chillier, temps between 87°F and 70°F. Finish your sightseeing early on the 23rd (Sun) so you can travel to Atlanta. Start off your visit on the 24th (Mon): let your taste buds guide you at a local gastronomic tour and then meet the residents at Georgia Aquarium. To see maps, photos, other places to visit, and more tourist information, read Atlanta route builder tool . Traveling by combination of car and flight from Natchez to Atlanta takes 5 hours. Alternatively, you can drive; or do a combination of car and bus. You'll lose 1 hour traveling from Natchez to Atlanta due to the time zone difference. Expect a daytime high around 87°F in June, and nighttime lows around 70°F. Finish your sightseeing early on the 24th (Mon) so you can travel to Savannah. On the 25th (Tue), learn about all things military at Webb Military Museum, contemplate in the serene atmosphere at Cathedral of St. John the Baptist, then go on a hair-raising tour with a ghost and vampire tour, then admire the landmark architecture of Mickve Israel Temple, and finally wander the streets of Savannah Historic District. To see photos, more things to do, maps, and tourist information, go to the Savannah journey app . Getting from Atlanta to Savannah by flight takes about 3 hours. Other options: take a bus; or drive. In June, daily temperatures in Savannah can reach 89°F, while at night they dip to 72°F. Finish up your sightseeing early on the 25th (Tue) so you can go by car to Orlando. Start off your visit on the 26th (Wed): get in on the family fun at Discovery Cove. To see ratings, photos, other places to visit, and tourist information, read our Orlando road trip planning app . You can drive from Savannah to Orlando in 5 hours. Alternatively, you can take a bus; or take a train. Expect a daytime high around 91°F in June, and nighttime lows around 73°F. Finish up your sightseeing early on the 26th (Wed) so you can go by car to Miami. 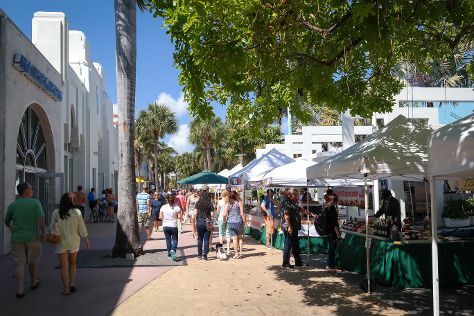 Kick off your visit on the 27th (Thu): explore the world behind art at The Wolfsonian - Florida International University, then admire the landmark architecture of Art Deco Historic District, then enjoy the sand and surf at South Beach, and finally shop like a local with Lincoln Road. To find maps, photos, more things to do, and more tourist information, read Miami trip itinerary maker tool . Getting from Orlando to Miami by car takes about 4 hours. Other options: take a bus; or take a train. In June, daytime highs in Miami are 89°F, while nighttime lows are 77°F. Finish your sightseeing early on the 27th (Thu) so you can travel to Key West. On the 28th (Fri), view the masterpieces at Alan S. Maltz Gallery, look for all kinds of wild species at Key West Butterfly & Nature Conservatory, then examine the collection at The Ernest Hemingway Home and Museum, and finally take in the waterfront at Mallory Square. To find more things to do, where to stay, maps, and tourist information, refer to the Key West trip maker . Fly from Miami to Key West in 2.5 hours. Alternatively, you can do a combination of bus and flight; or drive. Expect a daytime high around 88°F in June, and nighttime lows around 79°F. Finish your sightseeing early on the 28th (Fri) so you can travel to Orange Beach. Kick off your visit on the 29th (Sat): get interesting insight from Tours and then get up close to creatures of the deep with a dolphin and whale watching tour. To see reviews, traveler tips, maps, and other tourist information, you can read our Orange Beach trip planner . Traveling by combination of flight and taxi from Key West to Orange Beach takes 6 hours. Alternatively, you can do a combination of flight and car; or drive. Traveling from Key West to Orange Beach, you'll gain 1 hour due to the time zone difference. Traveling from Key West in June, expect slightly colder with lows of 71°F in Orange Beach. Finish up your sightseeing early on the 29th (Sat) so you can travel back home.